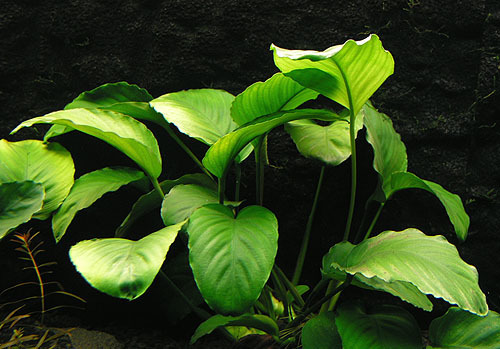 Anubias Barteri is one of the more popular and resilient of the freshwater aquarium plants.Barteri is hardy, so its a great plant for beginners. 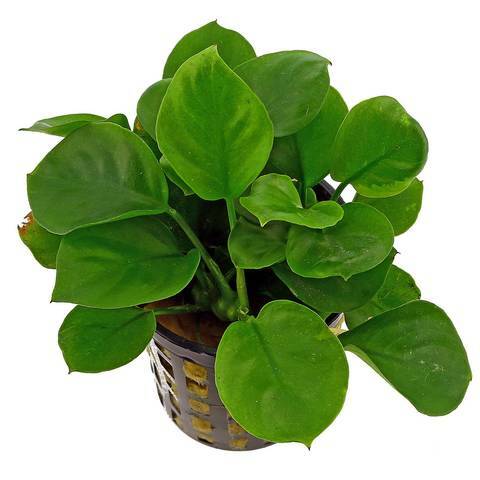 Anubias Barteri is noted for its thick rhizome, strong root structure and durable green leaves. 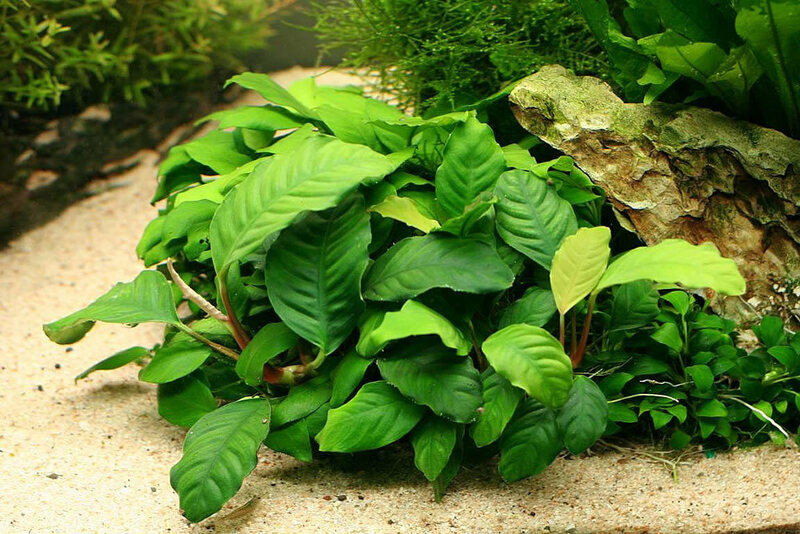 Lighting Requirements:Anubias Barteri can thrive is a wide range of lighting conditions from low light to higher levels of light. Planting Methods: Anubias plants can grow in aquarium gravel, aquarium substrate, attached to rocks, driftwood, or decorations.